When Pastor Norman Hurlow and his team started praying for a way their church could minister to the community, little did they know that the answer would come through a policeman’s dream. The Papatoetoe Seventh-day Adventist Community Church (PAPSDA) in South Auckland, New Zealand, provided many opportunities for its members to be involved in ministry. But now they were about to embark into a totally new venture. As they talked about it, the senior sergeant came up with an idea—what if we placed something in the cells that the first-time offenders could read? Something interesting, inspiring, and something that would encourage them to change their ways before it became too difficult. Thus the idea of the Crime 2 Christ magazine came into being. The magazine would feature stories of well-known criminals who had given their lives to Christ. The sergeant knew, however, that the police department didn’t have enough human or financial resources to turn the idea into reality, so he hoped to partner with a local church. Then one night the sergeant had a dream. In his dream he saw a pregnant woman with the words “Seventh-day Adventist” written above her. Suddenly, he awoke and wrote down what he’d seen before going back to sleep. So the sergeant met with Pastor Hurlow. The pastor assured him that the church was very interested in partnering with the police in this community outreach project. He also explained that while the church could help with such things as layout and design, there weren’t enough financial means to support the project in a monetary way. But they would certainly pray about it. Meanwhile, the sergeant told Pastor Hurlow and his team at PAPSDA about the woman, and together they prayed that God would move the hearts of the people to give. A few days later the woman returned, telling the sergeant that she had $10,000 for the project. The police officers and Papatoetoe church leaders were delighted! 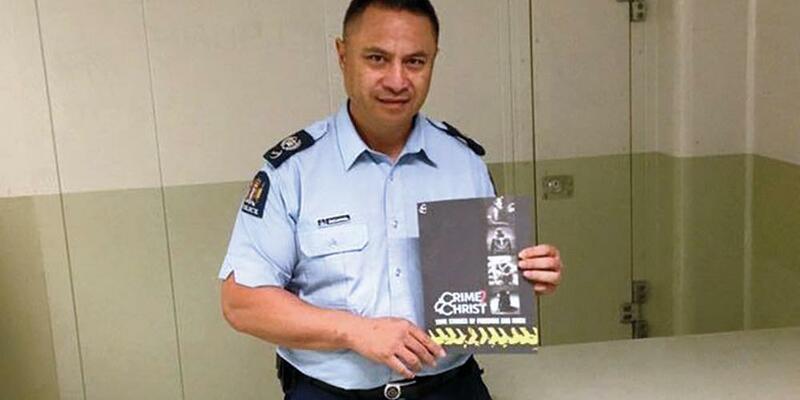 This was enough to produce the first issue of the magazine, featuring stories of three people who went from a life of crime to a life of Christ—a professional rugby player who plays for a national team in New Zealand; Amos, a founding member of a huge gang called “The Head Hunters”; and a woman who went from abuse and crime, to Christ. After the magazine was launched in May 2015, the same woman told the sergeant and the Adventist pastor that she had more money available for the next issue. “This was a real affirmation for the team of God’s leading and guiding of the process,” said Pastor Hurlow. “We didn’t even need to ask, but at the right time we had more than we even needed. The Papatoetoe church’s graphic designer did the design for the new magazine. In addition, Pastor Hurlow is responsible for connecting and providing a network of local churches. “We vet them, and make sure that they have the effective resources,” he explains. One of the goals for the Crime 2 Christ magazine is to go national. “By May  we’d already received requests from police stations all over the country. They all wanted this magazine,” said Pastor Hurlow. And there’s already been at least seven baptisms as a direct result of people reading the Crime 2 Christ magazine.